Good Choice Reading: Welcoming the Fall Blog Hop Giveaway! 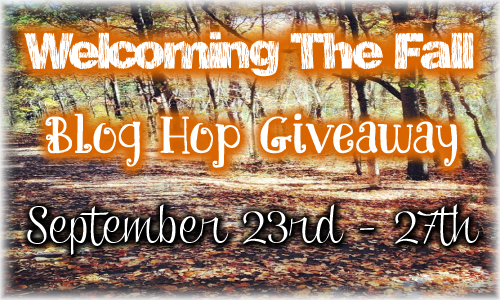 Welcoming the Fall Blog Hop Giveaway! Welcome to our stop on the Welcoming the Fall blog hop! We are giving away a $25 gift card to either Barnes and Noble, or Amazon. AMAZING giveaway! thank you so much.